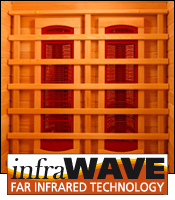 3 CERAMIC HEATERS - more heaters means your HeatWave Infrared Sauna™ is more effective! 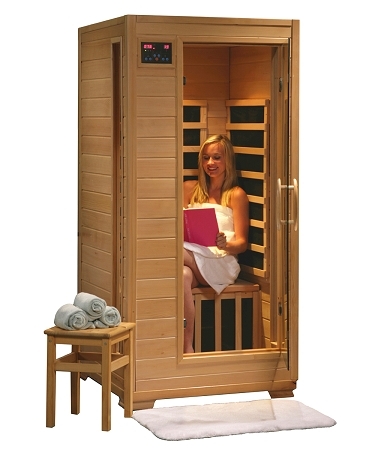 LOCATION - The Buena Vista Ceramic Sauna has 2 ceramic heaters on the back wall and 1 on the front of the bench. 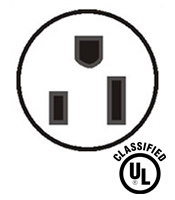 These 3 ceramic heaters evenly bask you in soothing infrared heat. The 1 person HeatWave Saunas include 1 backrest, ergonomically designed to eliminate fatigue and discomfort and provide ultimate sauna relaxation and comfort. 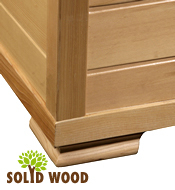 Back rests can be moved to any desired location, making your sauna session even more comfortable and enjoyable. 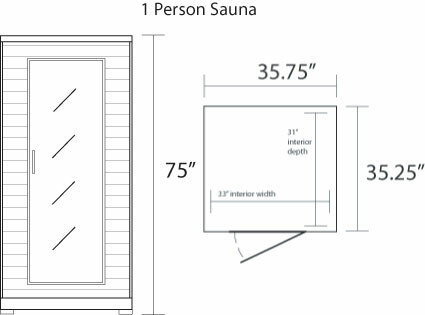 PRODUCT DIMENSIONS - Once assembled the Buena Vista sauna measures approximately 36” x 36” x 75”. PRODUCT WEIGHT - 250 lbs. SHIPPING WEIGHT - 288 lbs. 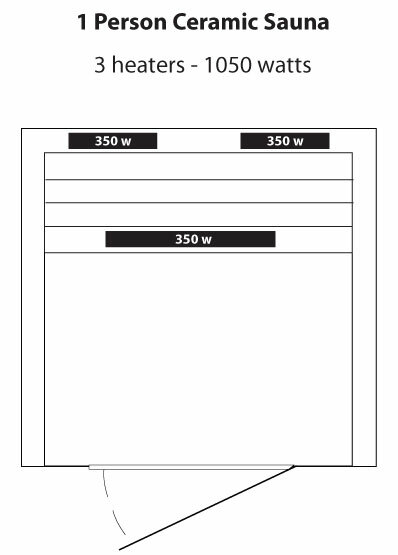 SHIPMENT DIMENSIONS - 78" X 30" X 38"